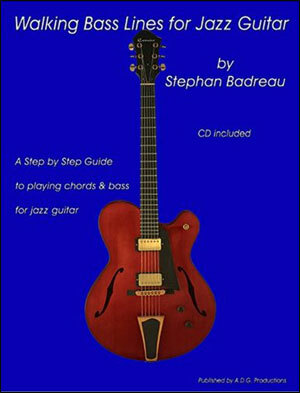 “Walking Bass Lines for Jazz Guitar” by Stephan Badreau is a step by step guide to harmonizing bass lines on the guitar. The book will show the musician how to connect familiar chord shapes with the appropriate bass notes. It is full of ideas, examples, chord voicings and substitutions, as well as short chord progressions for you to try your new learned skills. All examples are played on the accompanying CD at both slow and normal speed, as well as a “drums only” version for play along purposes. Stephan has been using this approach with many of his music students to great effect. I first met Stephan Badreau at GIT (Guitar Institute of Technology) where he quickly became a regular in my “open counseling”. It is a pleasure to see how far his music has taken him, teaching and performing. This book is a testament to a career clearly on path. Stephan has put a lot of thought into his book and obviously planned it carefully. I love his use of intervals for the bass lines. It is clear and well laid out and I definitely recommend this book to anyone who wants to get into the walking bass guitar style. 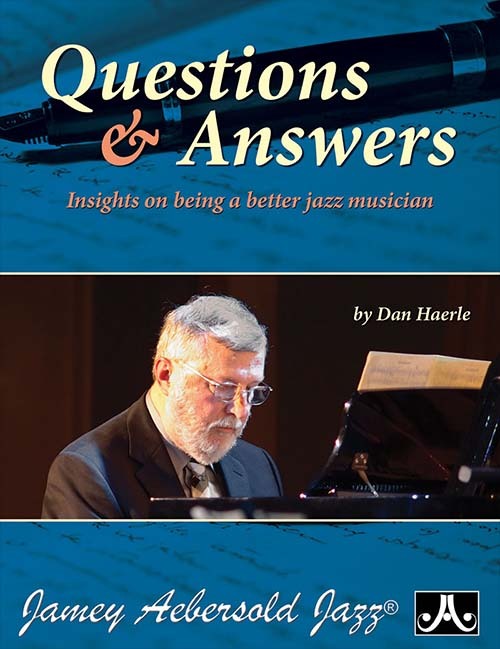 Ron Eschete Customer Comments THIS BOOK SHOWS WHAT JAZZ IS REALLY ABOUT. COMPLEX BUT EASY TO UNDERSTAND AND FUN TO PLAY. 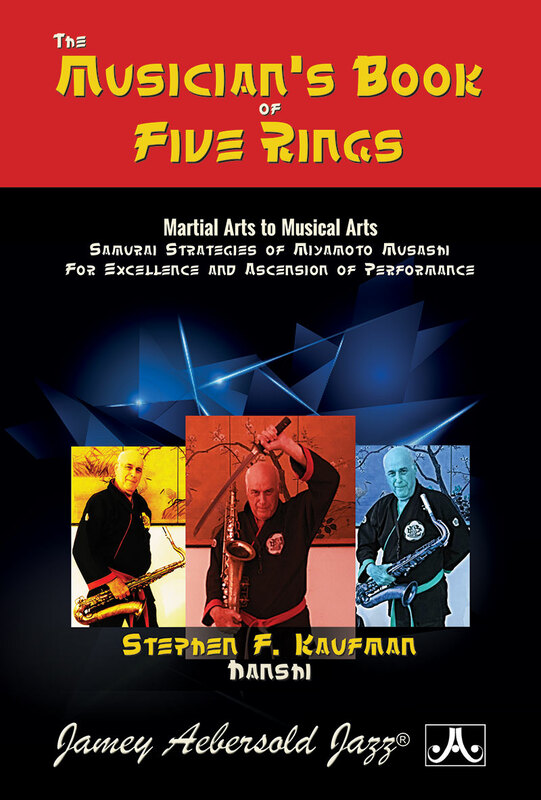 IF YOU'RE SERIOUS ABOUT PLAYING JAZZ THIS IS THE BOOK, GET IT NOW!!!S.D. This is a fantastic book. Simple yet comprehensive in it's method. Walking Bass Lines is an excellent addition to any guitarist's development as a musician. Knowing how to play a walking bass line while playing chords is a skill that will reap many rewards for the serious guitar player. D.A. Walking Bass Lines For Jazz Guitar, by Stephen Badreau, focuses on a skill that all jazz guitarists should explore: to play chords and bass lines simultaneously. This technique is not difficult to accomplish if taught in a systemized manner. When executed properly, the results are impressive. Jazz guitarists tend to spend a great deal of time developing their single-note playing, and neglect the art of accompanying. In a duo situation this approach can prove invaluable. It may also add another dimension to your solo guitar playing. Anyone who has listened to Joe Pass’s solo guitar recordings knows how effective this can be. Guitarists such as Howard Morgen, Tuck Andress and Charlie Hunter have popularized this technique in many different settings. Though there are many books on this topic, Badreau manages to organize his method in a very efficient step-by-step process. All of the exercises include standard notation, guitar tablature, chord diagrams, and detailed performance notes. 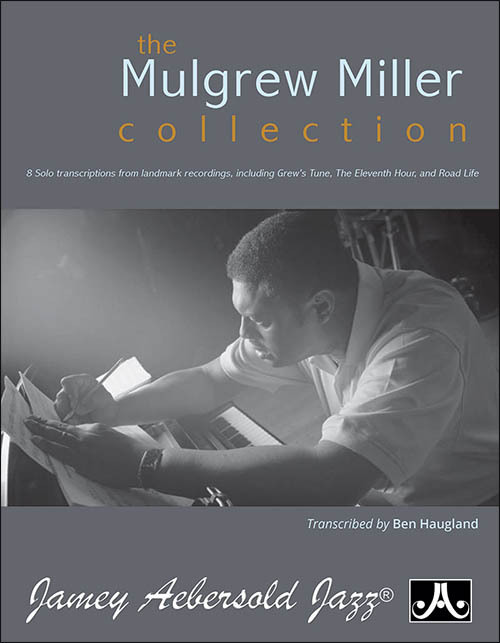 The book begins with one-chord exercises which develop the right-hand pattern while simultaneously incorporating the needed bass line approach tones (such as half-step above, half-step below). Once this technique is developed, the same chromatic approach is used over a iimi7-V7-IMaj7-VI7+5 progression (one chord per measure, then two chords permeasure). 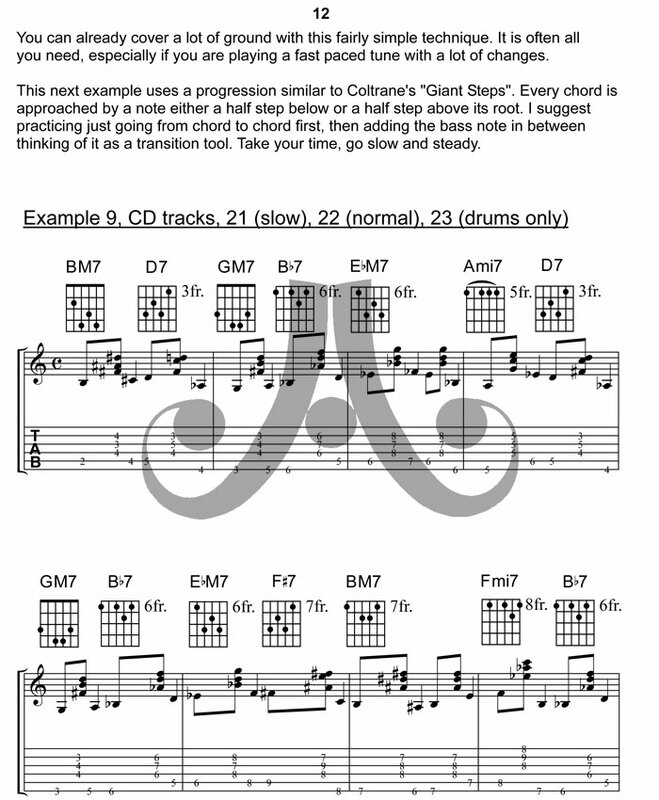 The same techniques are then applied to the Giant Steps progression. The next section gives examples of developing chord and scale tone bass lines with accompanying chords. This is followed by a chapter discussing the use of triad inversions and chord substitutions to develop bass lines. 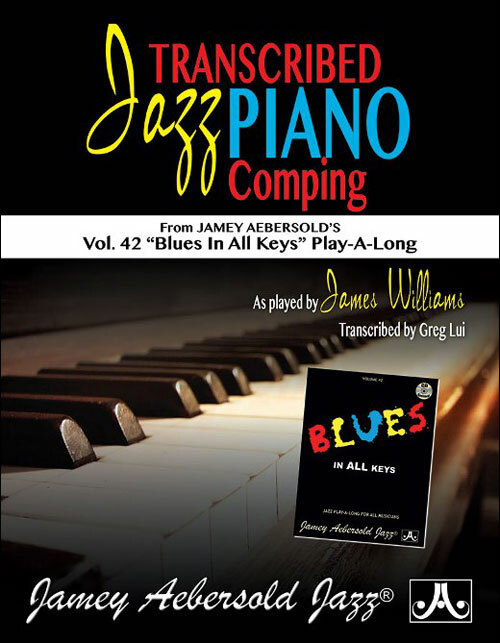 All of the exercises and examples lead to full-length versions of a Bb blues, as well as the standards “Just Friends” and “All The Things You Are.” Notably missing are examples of a 3/4 standard and a 4/4 modal-type tune. Regardless, this stage of the book would allow the player to maneuver through the majority of 4/4 standard tunes. There is a convenient chord reference chapter covering some additional voicings, inversions and substitution techniques. 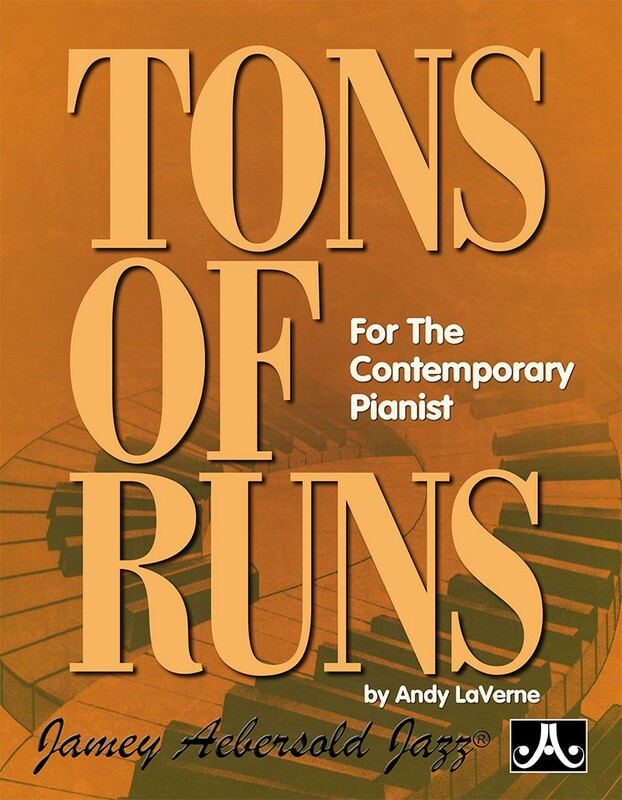 An audio CD with examples of the exercises played at both slow and fast speeds is also included. Only years of teaching experience and performing could produce such a well thought-out method. This approach would work best for the fingerstyle guitarist but would be manageable by the plectrum guitarist, as well. It would be suitable for the beginning jazz guitarist (with the aid of a teacher) or the intermediate jazz student who has some of the basics under his or her belt. Badreau has created an exceptional method to this specialized topic. Walking Bass Lines For Jazz Guitar would be a welcome addition to any studen’st or teacher’s library.